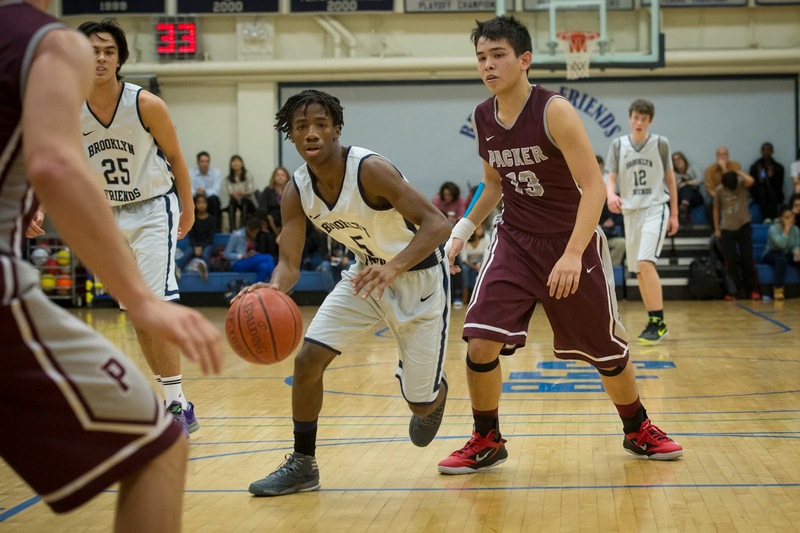 On Tuesday the BFS Boys Varsity Basketball Team defeated MMFS 63-30 in the lower gym. The Panthers led wire to wire as the team started the game with a 28-8 run and never looked back. It was a full team effort that included everyone from BFS scoring in the game. The leading scorers were juniors Quran D. with 18 points, 5 assists, Chris B. scored 10, and 10 rebounds, and Tyler V. scored 8 points. Sophomore Brendan B. had 12 points, and Phil C. scored 5 points. BFS is now 11-5 overall with an impressive 9-1 ISAL league record. Blue Pride!! 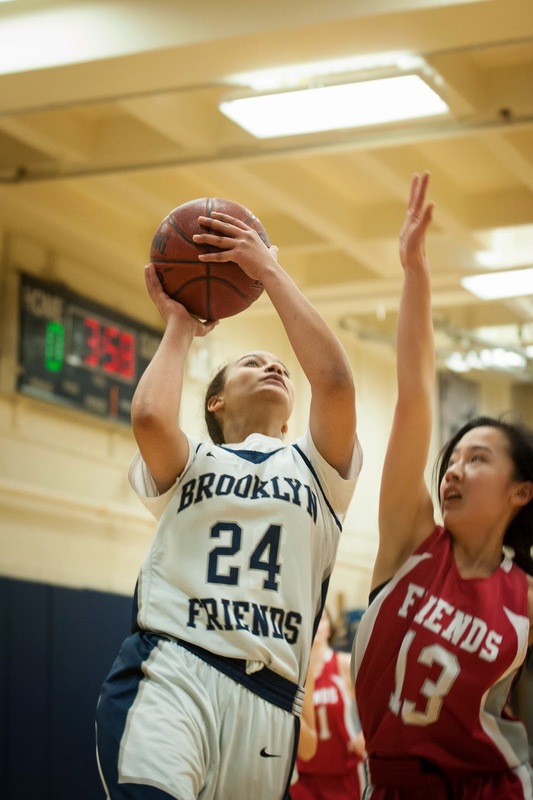 On Wednesday the BFS Girls Varsity Basketball Team defeated Bay Ridge Prep 34-16 on the road. The team started slow going down early. BRP played some tough defense and didn’t let BFS get into its sets on offense. The coach called a timeout to try to motivate the players and readjust things on offense. BFS found themselves down 7-6 after one quarter of play. The team woke up during the second quarter. The ball started moving as BFS attacked the BRP pressure defense and made the right passes to open teammates who made the extra pass for easy looks. Sophomore guard Silvely A. brought the energy on both ends of the court. Her defense also helped BFS get going on the offensive end. She had five points during the second quarter. Senior forward Julia B. added four points, and senior Maret S-M, junior Charlotte S., and sophomore Ivy L. each chipped in with a basket of their own. BFS was now rolling as they outscored BRP 15-3 to take the lead and never look back. Up 21-10 at the half BFS continued its solid play on both ends of court. The passing was good and everyone continued to look for their teammates for the best possible shot. Charlotte scored four more points during the quarter and Julia B., Abby M., and Silvely each added two points of there own. BFS was not up 31-14 going into the final quarter of play. BFS played solid defense and controlled the ball and closed out the final quarter 3-2 for the victory. Silvely had a very solid game (12 points) , as did Abby (4 points) and Julia B. (6 points & 8 rebounds) Charlotte (6 points and 6 rebounds) had one of her best games of the season. Maret (2 points) and Ivy L. (4 points) played well in the guard position. Xiana Q., Monet M., and Manya C. rounded things out as everyone contributed to the team victory after we got going from the slow start. Way to go team!! The team remains undefeated in the ISAL League (8-0). Next up will be a clash of two undefeated league teams when BFS takes on LREI on Friday at St. Francis College at 3:30pm. See you at the game. Blue Pride!! 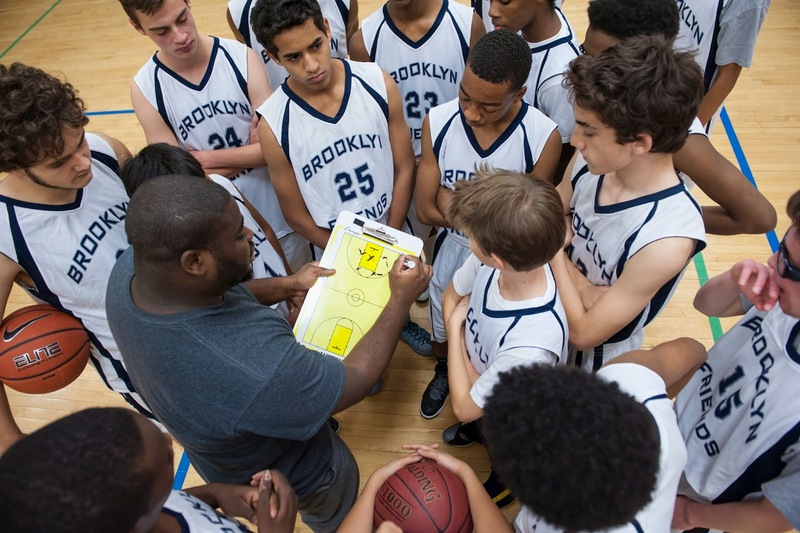 The BFS Boys JV Basketball Team defeated Leman Manhattan Prep 44-22 in the lower gym. From the opening tip the Panthers took a 12-0 lead over their opponent and never looked back. Leman fought as hard as they could but the Panthers firepower proved to be too much. For BFS 10 out of the 14 players recorded points for the team. The Panthers improved their overall record to 12-5. They travel to the city on Friday to take on Churchill. On Thursday the BFS MS Girls Basketball Team defeated Birch Wathen Lenox 19-15 in the lower gym. The team started slow, down 3 points early in the game, but once they took the lead, they played solid defense in the second and third quarter not allowing any points from their opponent until the final quarter. The scoring continues to be anchored by eighth grader Devon O., with steady improvement from the rest of the players. The win was their fourth in a row. The team is now 4-0 in ISAL League play. Blue Pride!! On Friday the BFS Boys JV Basketball Team defeated Churchill 51-24 on the road. Yesterday the Panthers took their undefeated ISAL record to battle Churchill, in a game the Panthers never trailed. From the opening tip the Panthers went on a 7-0 run, Churchill hit a 3 pointer to make it 7-3. That was the closest the game would be. At the end of the first quarter the score was 13-6 and the Panthers kept their foot on the gas and never looked back finishing the game and closing out their opponent. Miles B. led the way with a game high 27 points, 6 assists, 4 steals, and a block. The team improved their overall record to 13-5 and remain unbeaten in the ISAL League. The Panthers next game will be on Tuesday January 27th. Blue Pride!! « Public Library Happenings at the Flatbush Branch!